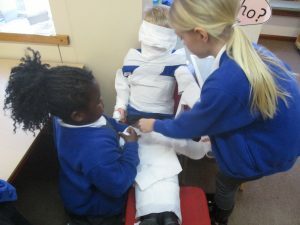 As part of our Down the Nile topic, the Bluebells have been learning all about the different steps of mummification. 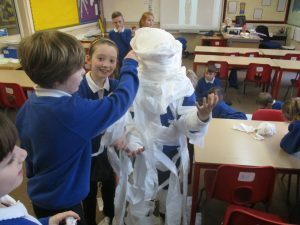 In order to imagine what it might have been like for the Ancient Egyptians we split into three teams to create our own Egyptian tomb. 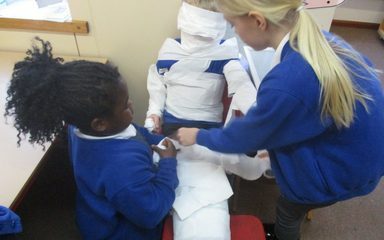 One team were responsible for wrapping two mummies up, making sure there were no gaps. 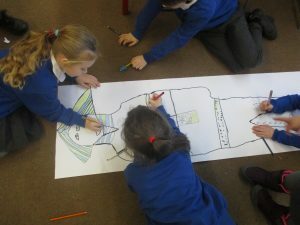 Another team were responsible for designing the sarcophagus for the mummies. 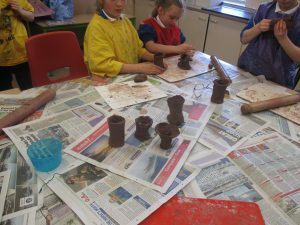 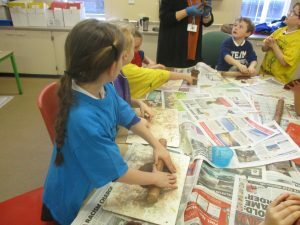 The final team made some canopic jars out of clay, which is where the mummies organs were stored! 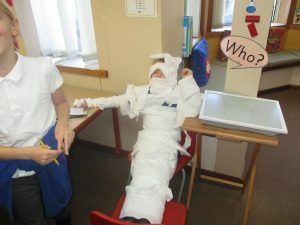 We had great fun creating our tomb, even though our mummies managed to escape!